For June, it’s all about DAD. 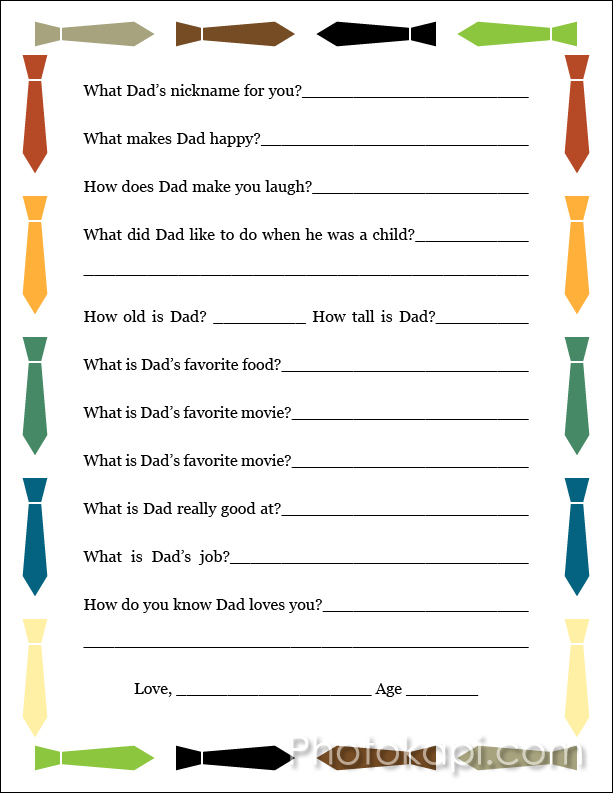 How about an interview of each child to show dad what an impression he makes? Make sure you add the child’s name and age — maybe even make it a yearly tradition. The free PDF printable download is below the graphic, and there’s even a version for Grandpa! Edit: Yeah, I made a mistake, there are two movie questions. The PDF is correct, one is movie, one is TV show.